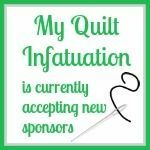 My Quilt Infatuation: August Fabric Deals and a Giveaway! 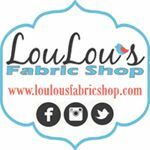 August Fabric Deals and a Giveaway! It's the middle of another month, which means that I have the latest news, a whole new list of amazing coupons, and even a giveaway for you, compliments of my amazing sponsors! So, let's jump right in! 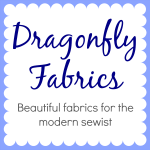 Dragonfly Fabrics is generously offering a 15% off coupon for my readers, good through Wednesday, August 19th! 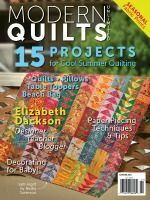 Use the code QuiltInfatuation15 to take advantage of this deal. 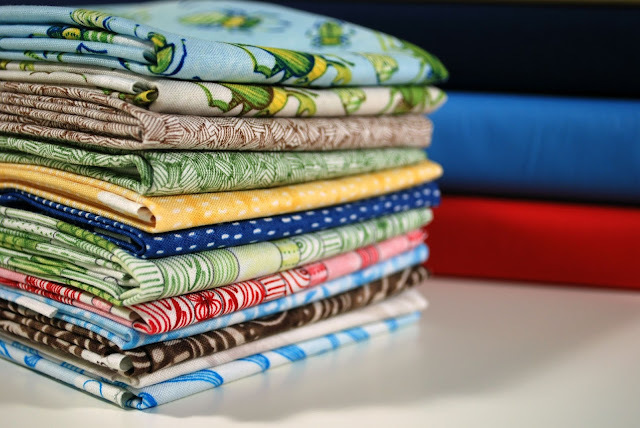 If you're looking for something to spend it on, Dragonfly Fabrics has LOTS to choose from, from manufacturers like Cotton and Steel, Riley Blake, Blend, Art Gallery, and many more. 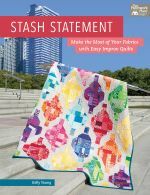 They have just gotten The Adventurers, a brand new collection by Cori Dantin for Blend Fabrics. These prints are just adorable for a little boy! Next up is the Fat Quarter Shop! The always have such an amazing stock of yardage, precuts, and patterns. If you haven't heard, right now they are offering 15% off of all Kaufman fabrics! Oh yes...this includes my very favorite solids, Kona! This sale ends on Sunday, so don't miss out! Fort Worth Fabric Studio is one of my very favorite places to get my fabric fix. One of the best little indulgences from FWFS are their Pocket Pies. 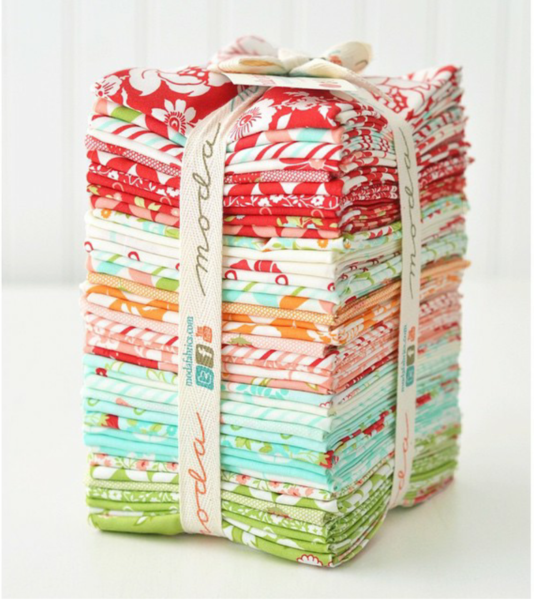 These are little fat quarter bundles that are color coordinated and given scrumptious names. These little pie bundles are perfect for building up a color that is lacking in your stash without overdoing it. There is a Pocket Pie club, but you can purchase them individually as well. Pictured below are the Key Lime and Lemon Meringue Pocket Pies. Aren't they cute? 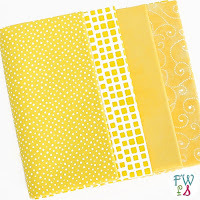 Fort Worth Fabric Studio is generously offering a 20% discount on ALL Moda fabrics, bundles precuts, and already reduced fabrics- only excluding preorders! The sale is good through Monday, August 17th. To get this amazing deal, use the code MODA20! 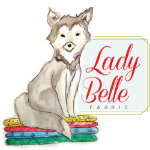 Lady Belle Fabric is another shop that I love! Lady Belle has such a fantastic selection of modern, fun fabrics at the best prices! It has become the first place I look if I want to buy a fat quarter bundle of a full collection. Oh, and by the way...Lady Belle Fabrics has the new Hello Darling collection by Bonnie and Camille and I am drooling over it! They also have steep markdowns in their sale section on great collections like Joel Dewberry's Birch Farm and Pat Bravo's Bazaar Style. Right now, Lady Belle is offering my readers 15% off of the entire store through Tuesday, August 18th! Aren't they awesome? Finer Ribbon helped me design my label using the logo I sent, and even printed laundry care symbols on the back side for me. They are soft and fully washable, and the ink will not bleed or fade. The kind folks at Finer Ribbon are giving away a spool of custom designed labels to one lucky reader! You can choose any width up to 1.5 inches. The 1.5 inch width is a useful, all-purpose size for quilts, as well as bags and clothing. Just FYI, since I use my labels strictly for quilts, they are 2.25 inches, so they are wider. To enter the giveaway, just leave a comment on this post! Be sure to leave an email address if you are a no-reply blogger! I'll announce the winner at next week's NTT! Good luck to all and happy shopping! As much as I love your tutorial for custom made quilt labels, having ready-made labels for smaller items would be perfect! Thanks for the chance! I'd love to have some labels! Just started sewing/quilting and haven't gotten around to picking out a nice label. yay for not having to make your own labels! Lots of great deals going at your sponsors. Thanks for the chance at winning some labels. I could sure use them! I love your labels. Thanks for this chance. So many great deals! Thanks! Would love to have some of those labels. Thanks for the giveaway. Those are beautiful ribbon labels! I've been thinking about getting some labels like those, but haven't taken the plunge yet. Thanks for the chance to win! Thanks for all the coupons and the giveaway! Thanks for the giveaway and coupons codes! You have such great sponsors. Thanks for the chance to win labels. Will go on Finer Ribbon to check them out. I've been thinking of getting some labels, but just can't quite decide which ones would be best. I'll have to check these out! Wowie! Yes! Would looove to win some Labels! Thanks for the chance! Yours are Super! Love your labels! Would love to add some to my handmade items, too! I love your labels, they are so cute. 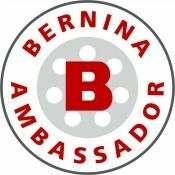 Would love to win some labels - thanks. Yours look great. OMG!!! I have been wanting to create professionally made labels for my quilted creations so this would be perfect!!! Labels would be such a great way to give that professional look to pieces. How fun!! I truly need some labels like these! The ones I currently have just don't cut the mustard. Live and learn, I guess. Thank you also,for the discount codes on your fabric shop recommendations! I would love to win. Thank you! Lovely labels! Great giveaway, fingers crossed!!! I don't have any labels, so this would be a wonderful surprise! I sure would love those beautiful labels. Wow, that's a lot of deals! You have great sponsors. I am drooling over the labels -- I need to be more consistent about putting labels on my quilts and labels like this could be just the thing! Thanks for the chance to win! I would love to have custom labels! Such a fantastic idea - and giveaway! I love the look of custom labels. Thanks to all your sponsors for such wonderful discounts! I would love to win some labels. They are awesome! Thanks for the chance. I'm just starting out so these would be such a help ! I would love some nice pretty quilt lables, thanks. These labels look so nice. Thanks for the giveaway. Love your labels, thank you for including the dimensions. Thank you for the giveaway. The ribbon labels are perfect for quilts! Thanks for the giveaway and your neat blog. Lots of great shopping opportunities - thanks!! I've been thinking of having some labels made up for smaller projects, like tablerunners, placemats, etc., so thanks for the chance to win! 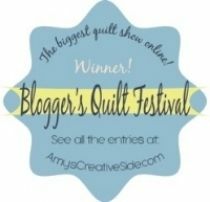 I would love to win some labels for my quilts! I love putting labels on my quilts and these are pretty rockin'! I love the bit of color you have in yours! I hadn't considered a ribbon label before but I love the professional look of yours. these labels would be perfect for all the small zips and bags i love to make as gifts. Love the look of your custom labels! Oh JOY, a second chance at these great labels! Thank you Kelly! Thanks for the links and the chance to win.Have a fun weekend! Great giveaway!! Thanks for the chance!! Thanks for calling my attention to "The Adventurers". I think those are just what I've been searching for. And who doesn't need the perfect labels? What a lovely giveaway. Oh, your post is great news! My source for labels is awfully slow in responding (for the second time) so I needed to find a new source. These look awesome! I love how you can put the care instructions on the backside. Thanks for the resource! Great giveaway and great sponsors! Great giveaway and great sponsors. I didn't win the labels last time, so maybe I'll hit it big this time! Seriously, these are SO cute and useful... I'd love to win! I love your labels - what a great idea! I love the labels too! Thanks for the opportunity to win some! I would love having labels. I am so bad at making my own quilt labels. Great looking labels.! Would be nice to win. Ooh, great coupons. After I hit publish here I'm hoping over to FWFS. Thanks for everything! What a great idea to add the laundry insructions on the back. I'd love to win a set of labels. Thanks! This would make labeling my quilts so much easier!! Thank you so much for the opportunity to win some of these fabulous labels!!! Count me in for the drawing, I'd love to have some of those labels for my quilts and totes and other projects!! Going to check out all the fabric goodies! I love the idea of already printed labels. I always put off making labels. Thank you for the chance to win these. I didn't win the labels last time and would love to win these. I need them so bad, and am out of work, so it would be an awesome gift! Thanks for all of the information and discounts and for the chance to win labels. Yours are cute. I would love to win some labels! They look fabulous! Thank you for a chance to win the labels. 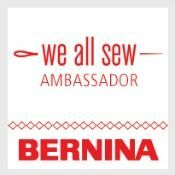 It makes your quilt more personal & professional. The list of bargains are great. Great post today. Thanks for the links and the change to win a great gift yet again. Thank you for the great post! I would love to be entered into the label giveaway. thank you! Those labels are wonderful little additions to any quilter's projects. And now I need to go check out some of those new fabric lines too. I love your labels! Purchasing labels I can put on all my handmade items is on my to-do list! I am drooling over Hello Darling too. Yesterday I worked with a charm pack and I definitely need to get more of this collection. These labels look wonderful. I would love to have some for myself. Thanks for offering a giveaway of them and the site as to where to purchase them. This might be a duplicate of my previous message…I was not logged in to my G+ account!!! Anyway, wanted to tell you that I really like your new label-espec. that they are on such nice ribbon and definitely need to get some for me!!! Also wanted you to know how much I LOVE your new Pop Rocks pattern. Beautiful! I would love the labels! I enjoy your blog thoroughly. I'm not sure if you can contact me or not if I win? I have never had a label to put on my work. Sometimes I embroider my initials and date. Would love to win the labels. Love the labels. I am always trying to design the perfect label for my quilts and this fits perfect with many projects. Thank you for always being generous with the giveaways and good luck to all. Difficult to find affordable printed labels. Would love to try your vendor. Thanks! I love these quilt labels. I really want to get some. Thanks! 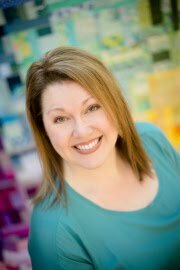 Please click on the delaineellliott above for my email link. I love these labels! Your label looks great! Love seeing the different fabric shops to buy from thanks for sharing! Thanks for sharing these deals and hosting this giveaway! I just love those labels. Would love to win some! Thanks for the coupon love and the giveaway! A quilt is not finished unless it has a label on it, is my motto. But, I don't have any cute labels, so many of my finishes are not really finished I guess. Thanks for the chance to win some. Too many pretty fabrics. I'm on a fabric diet this year, trying to use up the older stash so I can freshen it up a bit next year. I would LOVE a set of labels! Thanks to all your awesome sponsors! These would be totally awesome. Thanks for sharing the links. Such great labels! I'm working on a logo for my site and these little labels will be great once done! Preemie Quilt and TWO Giveaways!